After starting off the season by beating the Los Angeles Lakers last night at home, the Golden State Warriors head out to Staples Center to take on the Los Angeles Clippers tonight. This game will feature two of the best teams in the Western Conference. 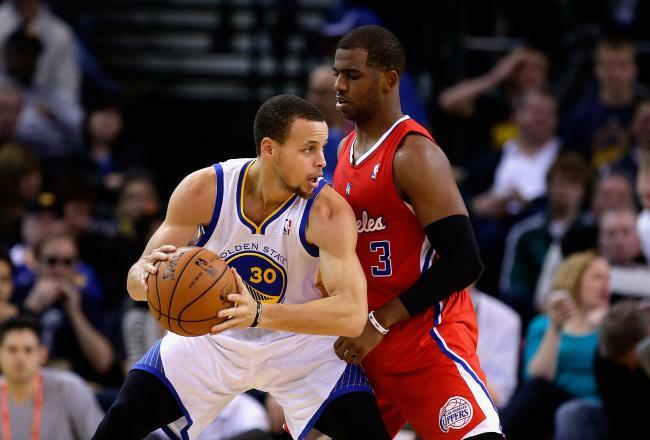 Last season, the Warriors beat the Clippers three out of the four times they played. The Warriors also had a 19-22 record on the road last season, which tied them for fourth-best road record in the Western Conference. San Francisco Giants: Should They Sign Brian McCann? Buster Posey is the leader of the San Francisco Giants. He’s the face of the franchise and he’s their best position player. At 26, he is a two-time World Series champion, a two-time All-Star, the 2010 NL Rookie of the Year, the 2012 NL batting champion, and the 2012 NL MVP. Defensively, he’s caught a perfect game by Matt Cain, he’s caught a no-hitter by Tim Lincecum, and he’s been the catcher for an elite pitching staff that has helped the Giants win two World Series in the past three seasons. 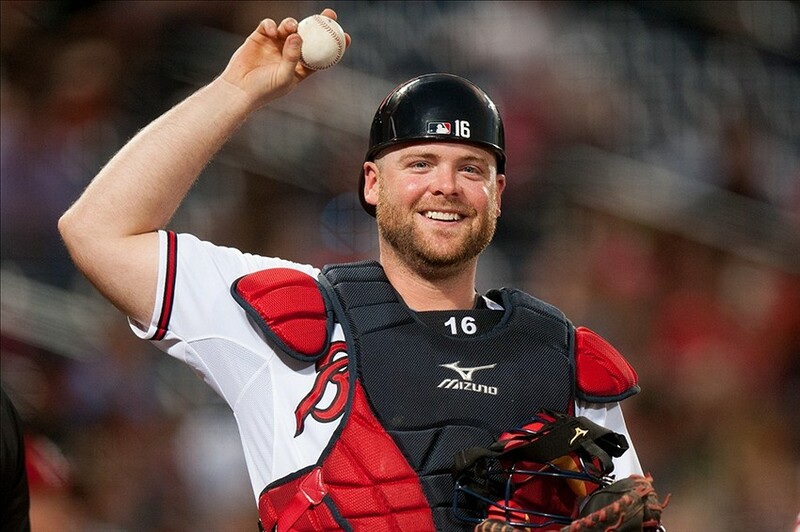 According to Jon Heyman of CBSSports, the Giants are one of many teams considering signing seven-time All-Star Brian McCann this offseason. Of course, this report is purely speculative. This doesn’t mean the Giants will actually sign McCann, but Heyman mentions that the Giants will at least explore the idea. 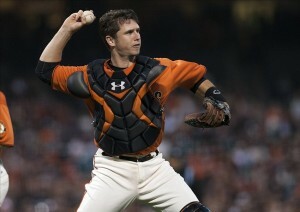 So, why would the Giants even consider signing another catcher, when they have a superstar catcher in Posey? Well, there might be some sense to this craziness. There are a few reasons why the Giants should sign McCann. First of all, McCann could provide the Giants with exactly what they’re missing. The Giants need a left-handed bat with power, which will be a hot commodity among many MLB teams this offseason. Last season, McCann hit .256 with 20 home runs and 57 RBI in 102 games. Belt’s emergence this season as a legitimate power threat is certainly helpful to the Giants, but having more left-handed power in addition to Belt’s power could be quite advantageous to the Giants. Second, having McCann behind the plate would ensure Posey’s health and stability. By signing McCann, the Giants would have to move Posey to first base and Brandon Belt to left field. Would this be a smart move though? Let’s start by examining Posey’s move to first base. Posey is one of the best catchers in all of MLB, but Bruce Bochy sometimes starts him at first base in order to preserve his health. Catcher is a physically grueling position to play, and since Posey suffered a serious injury to his ankle only a couple years ago, Bochy wanted to ensure Posey’s safety and health for the entirety of a season. The Giants have even discussed moving Posey to first base permanently later on in his career. Posey has said publicly that he understands why it makes sense for the team and for himself to start at first base occassionally but that he wants to remain an everyday catcher in the future. He loves how cerebral the catcher position is, and, given how intelligent and thoughtful Posey is about baseball, it seems like the perfect position for him. However, the Giants might ultimately decide that Posey’s health is more important than his desire to catch. Now let’s examine what moving Brandon Belt to left field would mean for the Giants. Belt is smart on defense and has great instincts, so he could play left field adequately but maybe not as effortlessly as he does at first base. Defensively, Belt is one of the best first basemen in the NL. It’s unclear if he could play left field as effectively as he plays first base over the course of a whole season. McCann is an elite catcher, offensively and defensively. Not many teams would say no to a catcher of McCann’s caliber … but maybe the Giants should. Moving Posey to first base or even third base eventually would make sense for Posey and the Giants. However, he’s still young and wants to catch. The Giants don’t want to upset their best player and the leader of their franchise. Not only does he want to catch, but he should catch. He’s an elite catcher, and he knows the pitching staff better than anyone. The pitching staff trusts him and knows that Posey will do whatever he can to help a pitcher and his team win. Posey is also a student of the game. He’s diligent in his scouting of the Giants’ opponents. Also, he’s fundamentally sound in his catching. In addition, Belt is an elite first baseman, defensively. Belt is only 25, and he’ll certainly win many Gold Gloves in his career…if he stays at first base. Belt has already made several adjustments to his swing, which have propelled him towards reaching the immense amount of potential that he’s always had. The Giants shouldn’t force him to play a position where he’s not as comfortable, especially since he is just starting to become a complete player. McCann is an incredible player. There are several arguments for why the Giants should sign him and for why the Giants shouldn’t sign him. Who knows if the Giants will actually pursue him, but the Giants will have to face some tough decisions if they think he’s worth signing. In a conversation with ESPN’s Chris Broussard, Stephen Curry was asked which NBA players he watched the most in order to develop his own game. 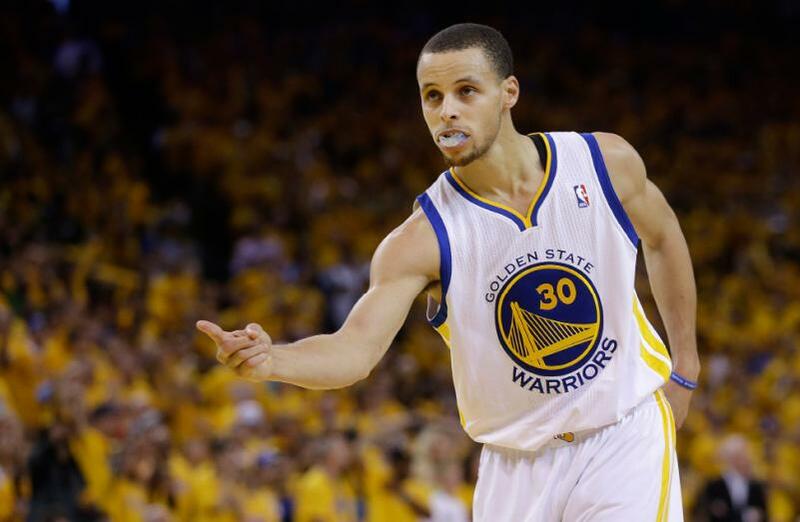 Obviously, Curry learned a lot from his father, Dell Curry, who played 16 seasons in the NBA. Stephen clearly got the shooting gene, since his father was quite the three-point shooter when he was in the NBA. Dell shot above 40 percent from three in nine of his last 11 seasons in the NBA. He also shot 40.19 percent from three over his career, which is tied for 30th in NBA history. 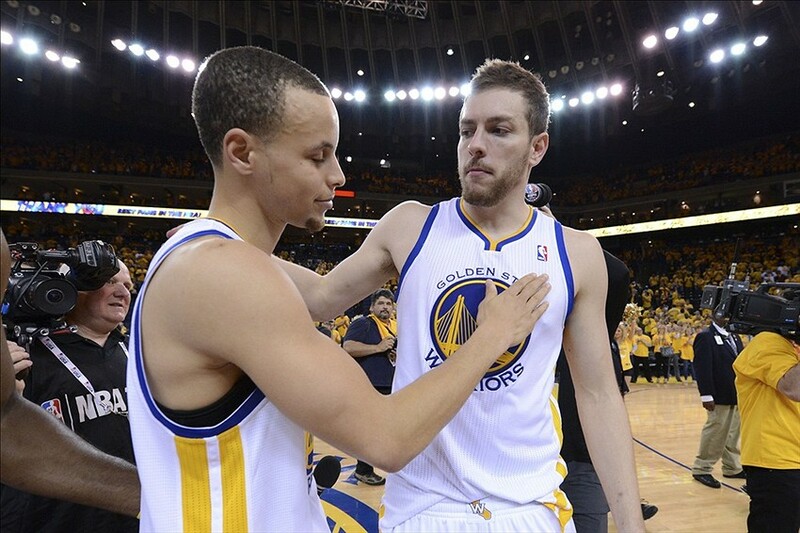 This week, I organized a Golden State Warriors Roundtable on Golden Gate Sports. Four writers for the Warriors on Golden Gate Sports answered five burning questions, similar to ESPN’s 5-on-5 format. Check it out! The Golden State Warriors got off to a rough start in the preseason, but they are finally starting to look like the team that the front office, the coaching staff, and the fans had envisioned in the offseason. It’s apparent that the acquisition of Andre Iguodala has vastly transformed this team. His presence has elevated the Warriors from a low-seeded playoff team to a legitimate title contender in the Western Conference. 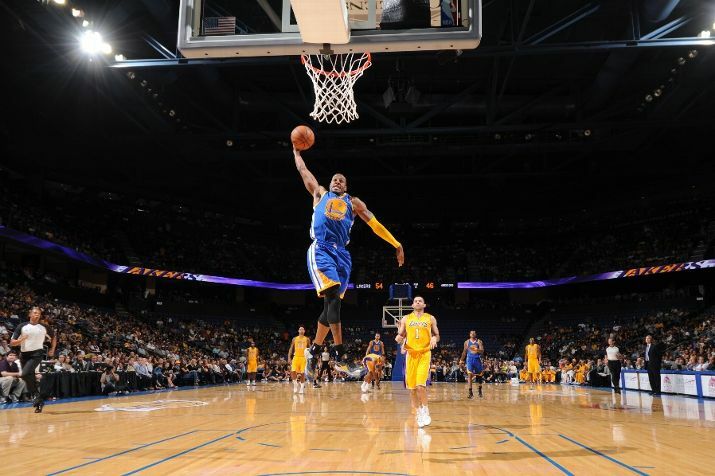 His play in the Warriors’ last preseason game on Friday against the Los Angeles Lakers in Shanghai was so impressive that everyone can now see why Iguodala was the missing piece of the puzzle for the Warriors. 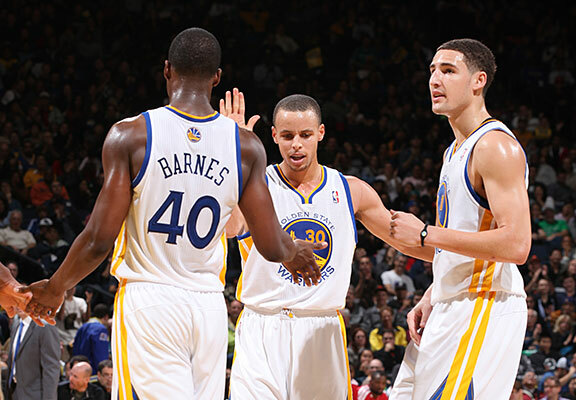 The Golden State Warriors have one of the deepest, most talented rosters in the NBA. There’s a good mix between veterans and younger players, and they all have a wide range of skillsets. 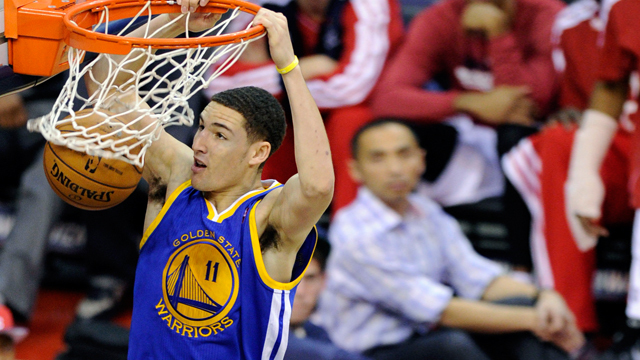 One of the most intriguing players on the roster this year is Klay Thompson.